We help loan portfolio investors and servicers to originate loans and put in place loan portfolio servicing agreements that are effective and sustainable. Loan Portfolio Investment Structures – we provide advice and practical assistance to our clients seeking to invest in loan portfolios. With a dedicated finance team with experience in structuring purchases and sales of loan portfolios we can help our clients get the deal done. We focus on project planning and assist with the all aspects of the deal from the due diligence to the attendant regulatory advice to ensure that the negotiation of the loan portfolio sale or purchase agreement is carried out efficiently and effectively for our clients. Loan Servicing – our team has a dedicated focus on providing loan servicers with an experienced and commercial approach to the negotiation of loan portfolio servicing agreements and all other documentation to which our clients are a party. With an in depth knowledge of the various asset classes requiring servicing we provide innovative solutions to the problems faced by our loan servicer clients. LCN Legal has a dedicated focus on loan portfolio servicing and we regularly publish free guides and resources which have been specifically written for clients concerned with this area. 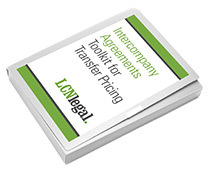 This includes a checklist of key commercial terms in loan portfolio servicing agreements. As well as creating resources on this site for our clients and subscribers, our team also contributes to other respected publications such as Lexis PSL, Tax Journal, Practical Law and AccountingWeb.